Elegantly colored clusters of flowers sprout from a prickly head of leaves. This is false babystars (Leptosiphon androsaceus), one of the many similar-looking species in the area. 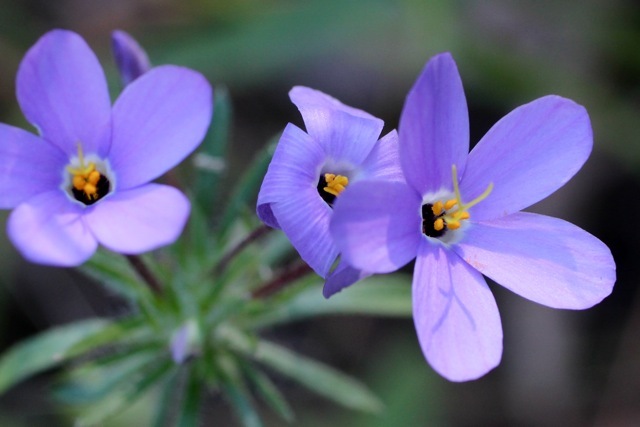 I tend to call them all “linanthus”, the groups former scientific name which doubles as a common name for some species. 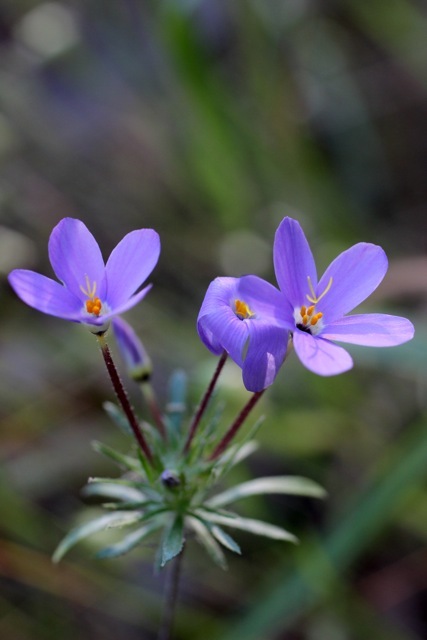 The easiest way to tell false babystars apart from its closest lookalike, L. parviflorus, or variable linanthus, is because the foliage is hairy but not glandular. Also the petals lobes (the part that look like petals, not the skinny tube below) are somewhat larger, usually greater than 8 mm.